Providing the fluid processing industry with cost-effective solutions to ever-rising pump related costs is one of the many reasons that Phantom Pumps has grown into one of the leading centrifugal pump manufacturers in the industry. Processors throughout the US and Caribbean islands are specifying our self-priming pumps for pump packaged system installations and replacing higher cost name brand equipment on processing lines with the compatible and interchangeable non-clog pumps that fill our pump lines. Phantom Pumps low-pressure pumps with maximum solid handling ranges from 1-3/4” to 3” are interchangeable with many Gorman-Rupp T Series, ESCO LP Series and All Prime S Series pumps. Our high pressure, non-clog pumps with 1-3/16” to 1-1/4” maximum solid handling ranges are compatible with U Series, HP Series and I Series pumps from these same three companies and many models produced by other top pump manufacturers. 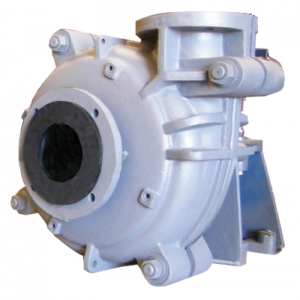 Our pumps are available in a variety of materials including Cast Iron, 316SS, CD4 and Ductile Iron. Organizations in Florida, Alabama, Georgia, Ohio and other areas in the US and Caribbean using a slurry pump packaged system can lower equipment related costs by replacing existing equipment with a Phantom Pumps slurry pump. Our slurry pumps that are interchangeable with brand name pumps, such as Warman AH Series models, feature patented designs and have shown improved performance and longer wear life than other brands in severe duty field trials. For cross-reference materials, technical data and quotes on any of our non-clog pumps, contact a Phantom Pumps associate today.